Movie Dog Breed You'd Like to Own? The family is pleasantly surprised and puzzled when Beethoven suddenly becomes obedient. Turns out it's a prince and the pauper scenario, with the real Beethoven now living with a pompous rich family. Sara Newton and Beethoven spends summer with Freddy Kablinski in Quicksilver, a weird town. Beethoven, the St. Bernard dog, becomes a father, but his girlfriend Missy is dognapped, and his puppies are in danger of the same fate. 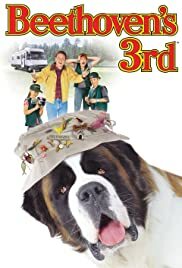 A slobbering St. Bernard becomes the center of attention for a loving family, but must contend with a dog-napping veterinarian and his henchmen. 16-year-old Jesse and old friend Randolph try to foil an illegal whaler threatening Willy and his pregnant mate. Lisa Dolittle sends her daughter to 'Durango', a Dude Ranch, to find herself. While there, she uses her talent to talk to the animals in order to save Durango from being taken over by a neighboring Ranch. Teenager Jesse becomes reunited with Willy two years after the whale's jump to freedom as the teenager tries to rescue the killer whale and other orcas from an oil spill. Kirra, a 12-year-old girl, discovers a baby Orca stranded in the lagoon near her grandfather's rundown seaside amusement park. She embarks on a quest to lead Willy back to his pod. Cruella DeVil gets out of prison and goes after the puppies once more. Maya Dolittle, who can talk to animals like her father, is placed on special assignment by the President of the United States of America. Buckle Up... Beethoven Is Taking A Road Trip! Beth Newton: What are you doing? Sara Newton: [holding a camcorder] Dad said I'm family videographer. I'm documenting our journey! Beth Newton: We're not going on a journey, Sara. We're going on a very long drive. Beth Newton: Nuh-uh! Dad said we're taking a journey! Sara Newton: Does the R.V. have a power port for my laptop?